If there's one thing Spanish cultures have all but perfected, it's the art of refreshing drinks for all seasons. But if your knowledge of Spanish beverages stops at sangria, have you got another thing coming. These drinks will spice up your party, happy hour, or any time tipple. 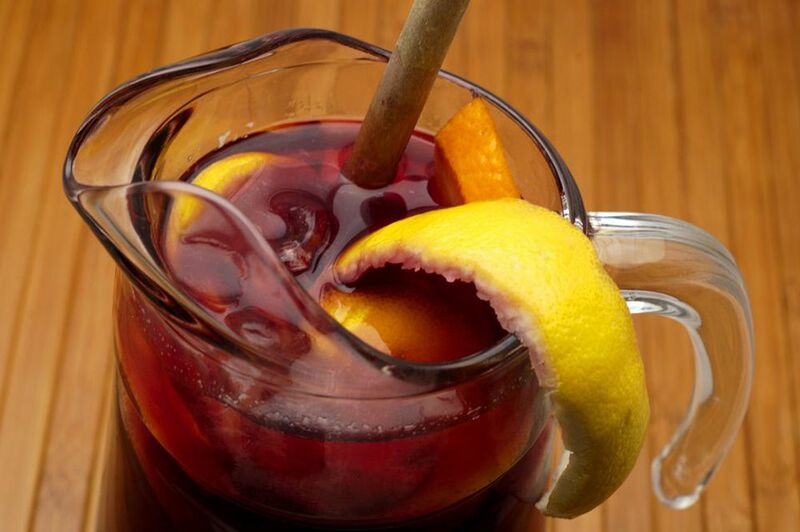 This classic Spanish pitcher drink is as easy to make as it is versatile. With almost as many versions of sangria as taste preferences exist, they all combine wine, sparkling soda, and cut-up fruit. Since you can make it in large batches, it's perfect for a party. Customize it with white or red wine and your favorite fruits, and grab a few glasses. Everyone will want one. The name “Tinto de Verano” translates to “Red Wine of Summer,” but it's an easy and refreshing cocktail for any season. With just two ingredients, you can have a glass in hand before you can say "happy hour." Simply combine red wine and lemon lime soda and you're in business. If you prefer a less sweet cocktail, try seltzer water instead of soda. If you love a classic sangria, change it up with this crisper, refreshing white citrus version. Because it uses citrus and white wine, it comes out less syrupy than red sangria, and pairs great with fish or pasta. Make your own lemonade to stir in, for extra pizzazz. If you love champagne, you have to try Cava. Only sparkling wine from the Champagne region of France can actually be called champagne, so you may have tried Cava without even realizing it. Spanish Cava also tends to be more affordable than the French kind, so you can try something new and save at the same time! Try it in sangria, for a seasonal sipper. If you enjoy red wine, brandy, or port, you will love sherry. Spanish sherry comes in dry and sweet varieties, and dates back to at least the 4th century, B.C. They range widely in color and sweetness, from a pale yellow to dark burgundy. Pick up a bottle to sip with dessert, especially this rich chocolate cake. This refreshingly sweet, rice-based drink will perk you right up for dessert or act as a nice complement alongside a spicy dish. It can also be made with ground almonds, walnuts, or seeds. You can buy it packaged, but it tastes even better homemade. Add more cinnamon or additional spices to taste, to really make it your own. The classic Cuba Libre uses simply rum and cola, but you can kick it up a notch with Licor 43. This Spanish liqueur uses 43 ingredients for a zesty, herbal flavor. You can use any cola for this recipe, but an artisanal variety will make the cocktail taste really special. Garnish it with a lemon or orange slice for pizzazz. In Mexico, "Agua Fresca" means "fresh water," but in this case, it refers to a delicious beverage somewhere between flavored water and fruit juice. It pairs beautifully with pretty much any food, and will refresh your spirit after a long day. Use pretty much any fruit you have in season, and adjust the amount of water to taste. Get creative -- Agua Fresca thrives on it. The slightly fermented Tepache de Piña is made from fresh pineapple peel and core, plus brown sugar and tastes delightfully refreshing anytime. Since it uses the whole fruit, this is perfect for those of you who hate waste, and love pineapples. Plan ahead to make this delicious beverage; it takes two to three days to make. Taste it before serving, too. You can always add more water if it comes out too strong. If you like hot chocolate -- and who doesn't? -- we have a great upgrade for you. Champurrado, a type of Mexican hot chocolate, uses masa harisa and piloncillo for a comforting, cockles-warming beverage. The raw, unprocessed cane sugar makes a great addition to a lot of foods, but this easy recipe will ease you into using it. Use up all of that fresh mint in one of the classic Spanish recipes, a rum Mojito. Just combine white rum, fresh lime juice, fresh mint, and a little sugar, then top with club soda for a refreshing drink. You can adjust the amount of sugar and rum to taste, and experiment with different rum varieties for your ideal mojito. Once you have the recipe down, consider adding fruit for even more fun. The Cuba-born Daiquiri ranks as Ernest Hemingway's favorite drink for good reason -- it's both classic and delicious. If you only know the super-sweet frozen versions at most chain restaurants, be careful with your first real daiquiri. They pack quite a punch! Get the best rum you can for these drinks, since they really showcase the spirit. If you don't like the liquor-only version, never fear. We have several fruit variations for you. The Caipirinha (pronounced kai-purr-REEN-yah) is the national drink of Brazil, and for good reason. It uses Cachaça, a Brazilian take on rum, made with distilled fresh sugar cane juice, rather than molasses. A lot of different versions exist, but start with the classic, which uses just the spirit and a little sugar and lime. This is a strong one, so add more sugar or a little club soda if you like your cocktails more moderate. 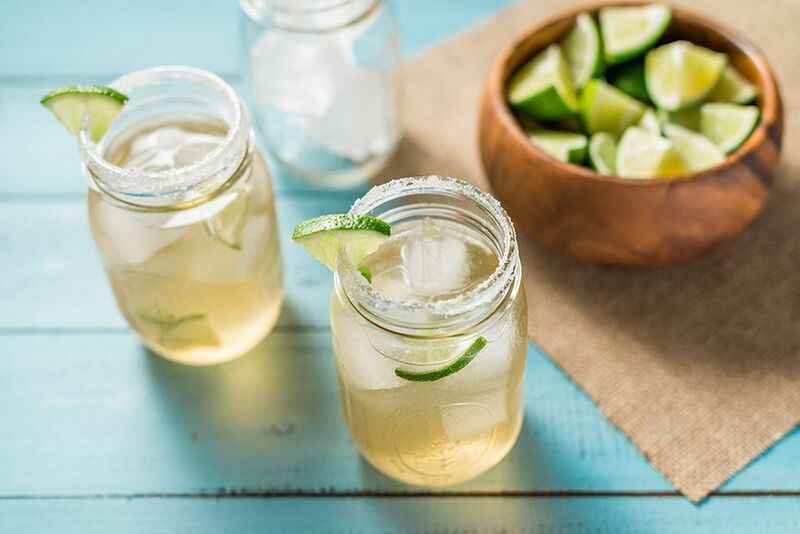 You've probably had a margarita or two if you like tequila, but have you ever made it yourself? Treat yourself to some top-shelf tequila and use Cointreau, instead of triple sec, for the best flavor. And once you master the basics, go ahead and try a few of these variations for a really fantastic fiesta. The Spanish love a good gin and tonic, -- or gintonic, if you want to sound like a local -- and even have entire bars dedicated just to the creation. You can really improve yours at home by buying top-shelf gin and fancy tonic that play off each other's flavors. This light, refreshing drink pairs perfectly with just about everything, and makes a wonderful start to your cocktail hour.